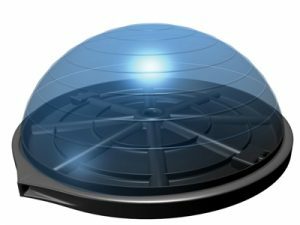 The Bosu® Pro Balance Trainer is a unique and multi dimensional training device. 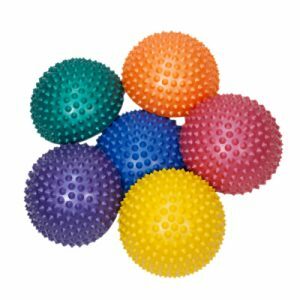 Great for working on balance & strength. The Bosu® Balance Trainer allows you to combine all elements of fitness in unique and highly effective combinations. 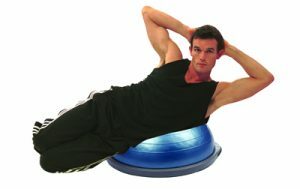 The Bosu® balance trainer can be usee for lying, sitting, standing, stepping, and kneeling exercises. Adjust the amount of inflation to suit your workout goals. New improved commercial grade design and durability. 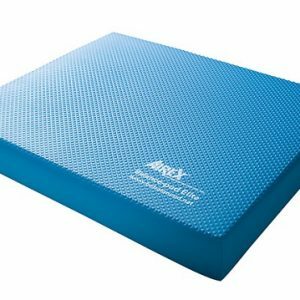 You can purchase it by itself or as a Kit with an Instructional Manual which includes photographs and in-depth descriptions of a variety of different balance applications to help you better utilize this exercise tool. 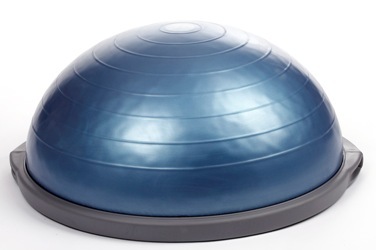 The BOSU has a platform that is 26 inches in diameter and inflates to a hemisphere 12 inches high when fully inflated. The Bosu® Balance Trainer has a 90 day limited warranty.